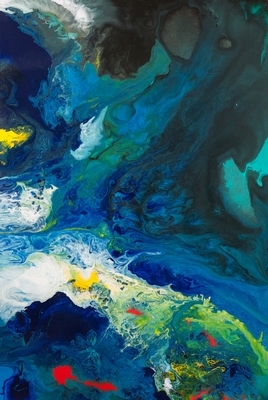 The McMullen Museum of Art at Boston College presents the first United States exhibition of works by contemporary Chinese artist Cao Jun. Cao Jun: Hymns to Nature will be on display in the Museum’s Daley Family and Monan Galleries. 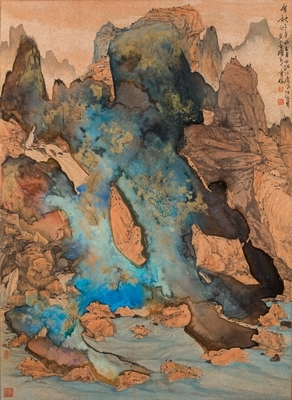 The exhibition comprises sixty-four works, all from the artist’s collection, consisting of watercolor and mixed media paintings, calligraphy, porcelain, and digital media. 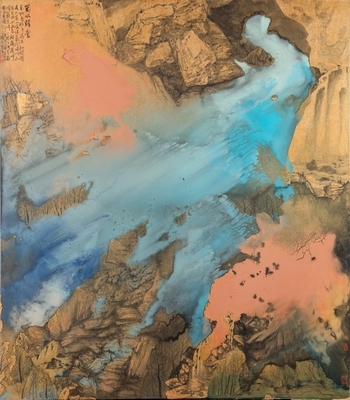 Cao Jun was born in 1966 and raised in Jiangsu Province in southern China, where the lakes and rivers shaped his childhood environment. He studied and worked for eighteen years near Mount Tai, one of China’s most ancient places of worship and ceremonial ritual. Concrete experience of both aquatic sites and mountainous terrain informed Cao Jun’s approach to artistic creation. After formal training in Beijing, he settled in New Zealand and traveled throughout Europe and the United States. More recently he journeyed to the polar regions and northern Alaska. During his travels, he gained new perspectives that influenced his work. 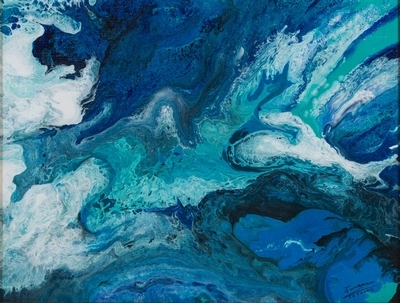 Hymns to Nature examines the deep roots of Cao Jun’s art in the experience of nature and how he portrays our place within it, according to organizers. It also illuminates his novel responses to admired, earlier paintings by his countrymen, and encourages viewers to ponder a dynamic dialogue between Chinese art of the past and that of the present. 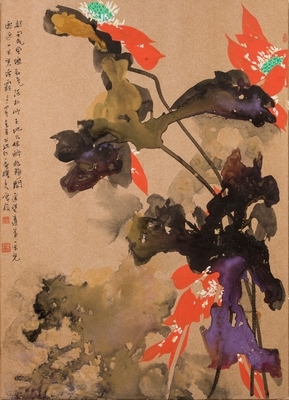 “The McMullen Museum is grateful to Professor Sallis [curator, Boston College Philosophy Department] for bringing Cao Jun, already well known in China, to our attention and to working with us to organize this important contemporary artist’s first exhibition and accompanying scholarly publication in the United States,” said McMullen Museum of Art Director and Professor of Art History Nancy Netzer. Organized by the McMullen Museum, Hymns to Nature is curated by John Sallis, the Frederick J. Adelmann, SJ Professor of Philosophy at Boston College. The exhibition is underwritten by Boston College with major support from the Patrons of the McMullen Museum. 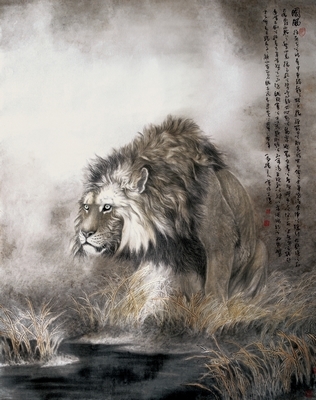 Arranged thematically, the exhibition opens with Cao Jun’s early works depicting wild animals. 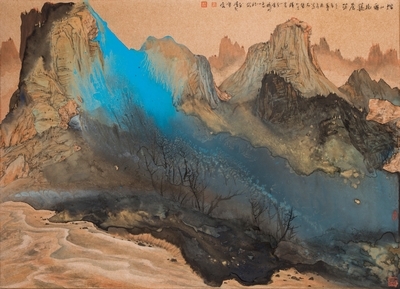 It moves on to later paintings where he employs the techniques of ink- and color-splashing to render mountain landscapes, water, and flowers. Subsequent areas display his calligraphy and porcelain. 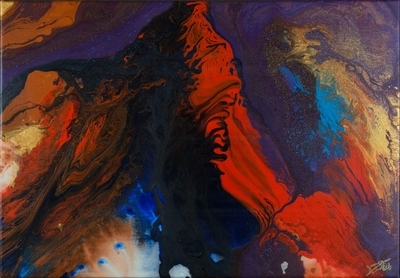 The exhibition concludes with more recent abstract works exploring the various configurations in which spatial phenomena can appear. 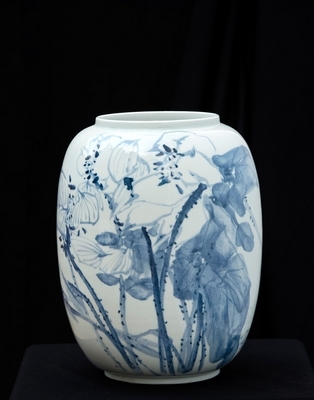 Exhibition sections include: The Spirit of Animality; The Poetics of Water; The Look of Landscape; Botanicals; Reflections of Autumn; Dreams of Space; Calligraphy; Porcelain; Songs of the Earth. Hymns to Nature is accompanied by a catalogue, edited by John Sallis, with contributions by Chinese and American scholars that examine the ways in which Cao Jun’s art fuses elements of classical Chinese painting with modern abstract forms akin to those of Western art. 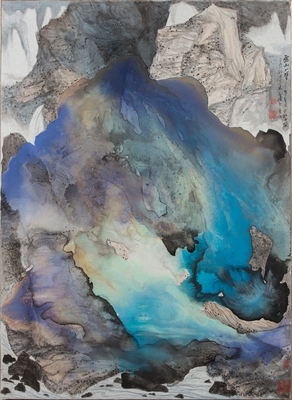 Essays also discuss the philosophical and poetic dimensions of the artist’s work, as well as Cao Jun’s profound connections to the natural world.